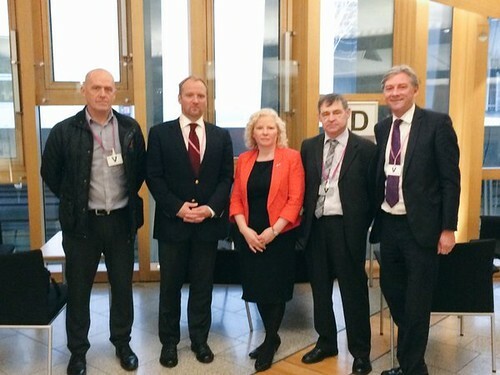 Today I was pleased to welcome workers and trade union representatives from BiFab to meet with MSPs from all parties to discuss the future of the yard. Previously I have raised and discussed with the Government fears over the yards future as it competes for contracts. It is vital that we all work together to secure the future of the yards and workforce in Methil, Burntisland and Arnish. I was pleased to welcome Richard Leonard, Michael Sullivan, Alan Ritchie and Gary Smith from GMB and Bob McGregor from Unite to hear workers concerns. 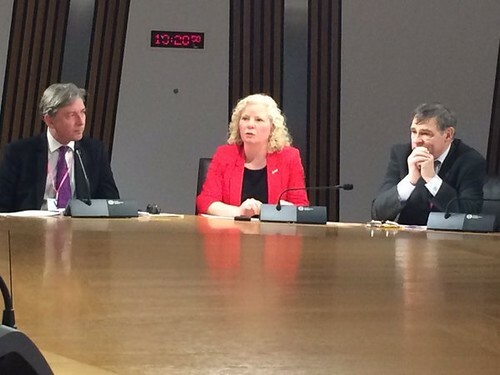 On Thursday the Energy Minister delivered a statement on the future of Longannet Power Station in the Scottish Parliament. Following the statement I was able to ask a question about the future of the site and warn about the impact of further job losses to the local economy, particularly on the back of the recent announcement of redundancies at Havelock Europa. I will be raising the job losses at Havelock Europa on Wednesday during Finance Question. In the meantime you can watch the statement on the video below. The statement starts 46 mins 30 seconds into the video and my question starts at 1 hour 12 minutes and 50 seconds. You can also read my question here. The news confirming that Samsung are pulling out of Methil is another massive blow to the local Levenmouth economy and to the future of Fife Energy Park. Samsung’s pullout takes with them the promise of 500 jobs made by former First Minister Alex Salmond and follows fears of potential job losses at Burntisland Fabrications, (BiFab).On Monday (6th July) the Scottish Government will be visiting Fife to hold a cabinet meeting and I have called for them to visit Fife Energy Park during their trip and respond to concerns of the workforce over the park’s future. I have called for the Scottish Government to bring forward their proposed consultation on unconventional gas and fracking. The current delay is leaving the people of Fife and Mid Scotland voiceless as plans for underground coal gasification (UCG) continue in the area. In January, following pressure from campaigners, the Scottish Government announced that it was bringing forward a moratorium on granting future consents on unconventional oil and gas developments in Scotland. At the same time they announced plans to hold a public consultation. It’s time for a frack free Fife and that is why I am backing calls from Scottish Labour for a triple lock system to guard against fracking in Scotland. Under plans announced by Jim Murphy, Scottish Labour will use the new powers from the Smith Commission to stop fracking in Scotland. 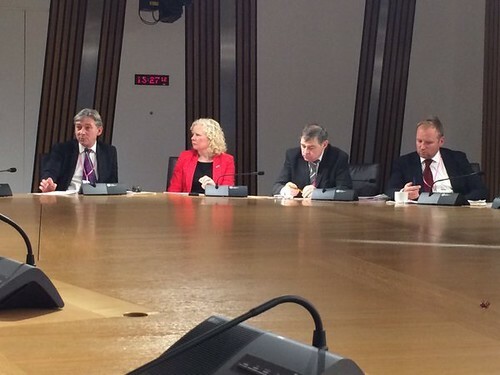 This move would stop Fife being a “test bed” for the controversial process. I have long been campaigning both in Fife and the Scottish Parliament for the Scottish Government to take action against fracking. I have called for robust national guidelines and the introduction of buffer zones. 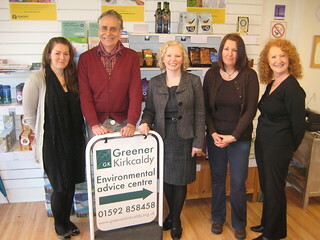 Local organisation Greener Kirkcaldy will this week be debated in the Scottish Parliament as Mid Scotland and Fife MSP Claire Baker secured an opportunity to discuss the Fife based charity. The charity helps locals take action to ensure environmental issues are being tackled both at home and in the wider community. The organisation has ran initiatives such as Shine on Fife and Cosy Kirkcaldy with a consultation on plans for a community food hub currently running. Yesterday in Parliament I called for the Scottish Government to use its Climate Change Fund to help low income households tackle fuel poverty and address climate change targets. I’ve called on the Scottish National Party to support the Labour Party’s pledge to freeze energy prices for two years if elected as we work towards regulating the energy market.